The $700 BlackBerry Priv is a high-end Android handset for physical keyboard fans. Android users who dearly miss physical keyboards may finally have something to look forward to with the BlackBerry Priv. 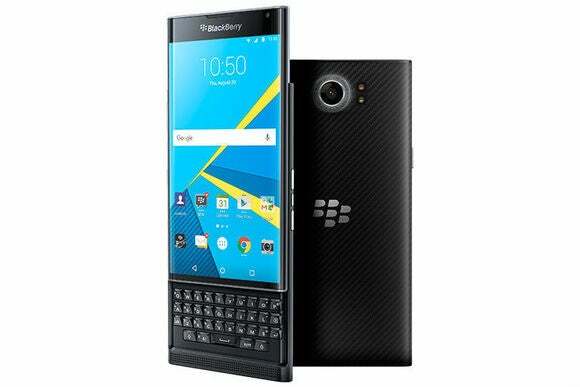 After months of leaks, rumors, and non-announcements, BlackBerry is putting the Priv up for pre-order on its website. For $700, the phone is unlocked and will work on AT&T and T-Mobile networks. Shipping starts on November 6. The Priv has a 5.4-inch OLED touch screen with 2560-by-1440 resolution, and is powered by a 64-bit Qualcomm Snapdragon 808 processor with 3GB of RAM. It includes 32GB of built-in storage and has a MicroSD slot that supports up to 2TB of additional memory. An 18-megapixel rear camera has optical image stabilization and f2.2 aperture, and there’s a 2-megapixel f2.8 camera up front. BlackBerry advertises up to 22.5 hours of “mixed usage.” NFC support is also included, and the phone charges via MicroUSB. BlackBerry is also touting the Priv’s privacy features, with a built-in app that grades overall system security. From here, you can control which apps have access to system features such as the microphone, camera, and location. Despite earlier rumors, there’s no official word on availability through wireless carriers. Why this matters: BlackBerry CEO John Chen has said on several occasions that he’d kill the company’s hardware efforts if they don’t start making money again. With the BlackBerry 10 operating system continuing to look like an exercise in futility, going with Android for the Priv could be the company’s last shot as a phone maker. If you’ve pined for BlackBerry’s previous keyboard-equipped hardware, but not the software that went with them, now’s the time to take another look.